Decorate your pictures with this wonderful five piece set of metal art. Display your loved ones proudly. This set is made with high quality decorative metal, and it is just wonderful. 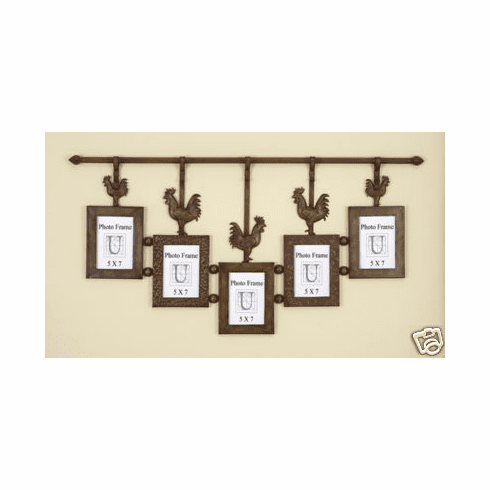 It features five different beautifully crafted roosters to hold on to your 5x7 pictures. It also works very well with many different themes of decor. This decor is very large, measuring approximately 43" width x 29" High.